Let's say there's a solid ball the size of Ceres orbiting the Sun at a very close distance inside the orbit of Mercury. Not Parker Solar probe close but close enough to get "sandblasted" by the star over the eons. It is tidally locked to the Sun. It's so close there is considerable spallation of the surface looking into the star. Other side is forever in darkness. Composition is almost all iron and nickel with some silicates near the surface and on it. No surface melting. There is zero tectonic activity and negligible depth stratification. Core is solid. Apart from the surface phenomena due to the solar wind, it's geologically dead. I've described something similar to 16 Psyche, but with the exception of being considerably larger and very close to the Sun. My question - can you imagine the shape of the solar wind deflection that would develop around it? Indeed, it has no flowing conductor inside, but it's very close to the Sun. It's made mostly out of metal and has been hit with charged particles since ever. It's effectively a conductive ball passing through a charge that is itself flowing outwards. Would the deflection be drop-like? Would poles form? Would the whole body get net positive or negative charge? @K^2 I was hoping you would tackle this one. Hypothetically, the planet's atmosphere and even part of its mantle may be eroded by stellar winds, alternatively the classic giant impact hypotheses can strip planets of their mantle. What the exact shape of that wind is, idk. That depends on the star its activity, if there is a magnetosphere, interaction between star and planet, flares ... For now, we have no means to measure such interactions directly or indirectly. Cross fingers for bigger telescopes. Edit: searching "modelling stellar winds close planets" brings up a lot of apparently nice links as it may be of interest to the interpretation of absorption spectra from such planets. I want to develop (or get data for the modders) radiation belts for @Kragrathea's Ablate, available now by Sentar's expansion mod, so the thought experiment is limited to the description. We can simplify it with a solid metal ball orbiting a calm star like our Sun closer than Mercury does. If we start with a nonmagnetic metallic ball, it will certainly pick up some charge and establish an electrical field around it which will repel some However, eons of being inside solar flux could (should?) magnetize the ball and thus establish a magnetic field. This is a thought experiment with simplest starting conditions. But Mercury and other solid planets cores are metal balls. And it doesn't look like they are significatly charged. Mer, Ven, Mar, Mun magnetospheres are not so strong, and unlikely they are charged. While the terrestrial iron core generates magnetosphere not due its charge but due to currents of liquid in the outer core and plumes between the core and mantle. So, should it be necessary something changed if their cores get naked? Remember that they're covered with a thick layer of insulators. Naked or partially naked metal core would be something different. Now that I think of it, I think the net electrical charge should be basically zero. Solar wind has both protons and electrons. If a body gets more electrons, it will repel electrons and attract protons, and vice versa. Solar wind would keep it neutral. However, would the solar wind and the ball moving through it induce a current and generate a weak magnetic field that would get into equilibrium with incoming wind? I think it would, but I can't imagine its shape. I hope i see :-) Yep, you can have statically charged day and night sides on a planetoid. This is the situation with the sungrazing ball from the mod. 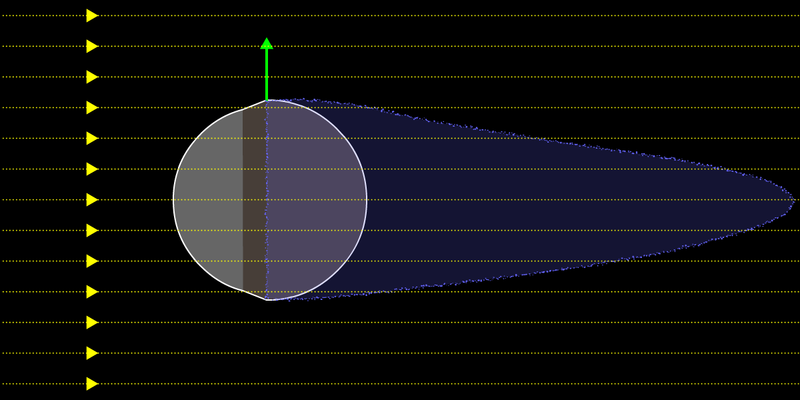 Observer is above the orbital plane, looking down. 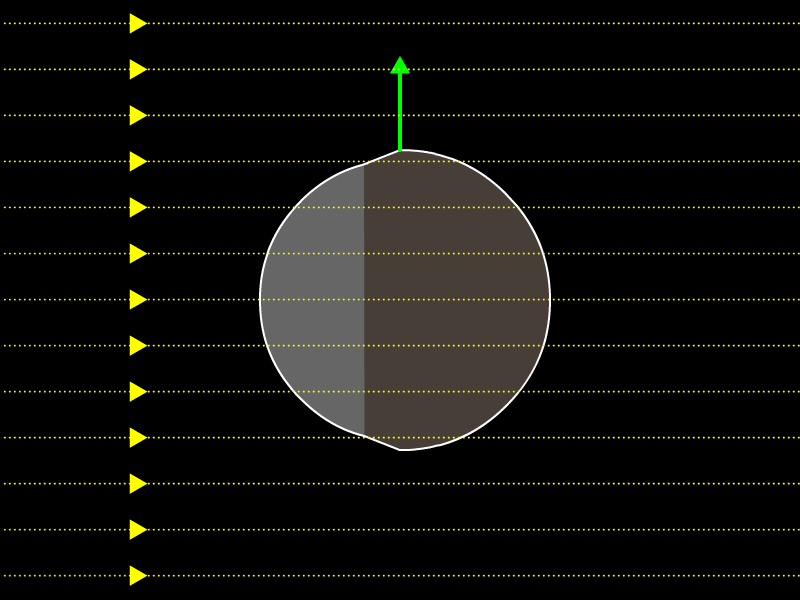 Planet is below, gliding on its orbit (green arrow). Rotation is synchronized with revolution. Yellow is stellar wind. Insulating regolith has been pushed or blown away from the star facing side. Gray side has some metal exposed, the rest is covered with an insulator. Obviously, if there is wind ablation going on, it means the magnetic field is pushed deeper and no longer protects it. I'm not a layer plasma physicist, but I have two insights. First, solar wind is at least partially a plasma flow. Without a significant magnetic field, any charge build-up will be self-correcting. I expect such an object to be neutral unless there is some weird dynamo effect going on, but I can't think of any reason why there would be, because of insight two. Reynolds number for Ceres-sized object inside of Mercury's orbit is going to be a lot less than 1, unless it's close enough to the Sun to be evaporated. Consequently, the flow of solar wind around such an object can best be classified as boring. There's still going to be a shock, and a bow wave is going to form a very narrow cone behind the object with low plasma velocity inside the cone. But at Re << 1, the plasma flow inside this boundary will gently hug the surface without any turbulence. Boring. I'll happily stand corrected if I missed anything, because as I've pointed out, plasma flows were never my speciality. Are you suspecting something like this, but longer (essentially comet-like)? Drop shaped or more conical? Would the boundary be pushed into the sunlit surface (after all, it's ablated)? What about the induced magnetism over the eons? Would that evolve to kind of stabilize the influence of the wind and change this shape? Maybe it would add a belt? I have this notion that such body, while still being covered in regolith, would get sandblasted until metal is exposed, and then charged particles start to hit such conductor, causing current. Over the eons, current magnetizes the metal, causing a small magnetosphere to form. I just can't figure out the shape because I'm not sure how the current would flow. 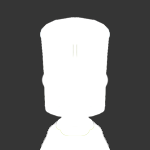 @N70 Would you be interested in supporting this? I think it's a great opportunity to make an interesting environment for Kerbalism. I don't see where symmetry breaking for magnetization would come from. Rotation due to tidal lock just isn't going to be great enough without liquid core. I suppose, some asymmetry in metallicity could do it, but idk. If magnetic field forms, it changes things dramatically, but that's above my pay grade. Otherwise, that first image seems like it'd be in the ballpark. Not to scale, of course. OK, then I propose a compromise to make it less boring. 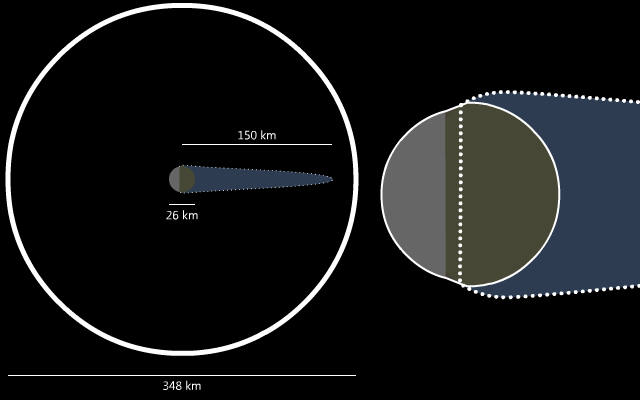 Here's, to scale, size of the planet, SOI, proposed "magnetopause" tail and detail on the right. Dres also has one crossing the surface so this will be easy to make. As Ablate's SOI is 174 km, 150 km long tail stays inside and still looks fairly elongated. Crossing with the surface follow the ablative pattern. @N70 How can I do this?